Anticipation and Hope! These are the things that mark the Advent season which begins on Sunday. In these days hope can be a difficult thing to hold onto. How can we keep the spirit of Advent alive even through the despair that surrounds our world? Advent is all about expectation and longing. It is about yearning to be delivered from the world’s evils. It is a time of hope. A hope in our God that though to us he can sometimes seem like He is quite far away, that He will come and set the world right. We are anticipating the arrival of our King. 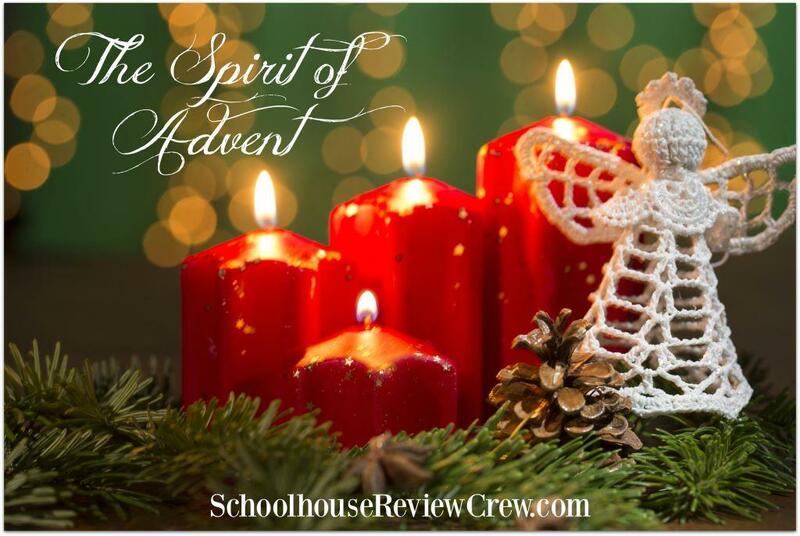 How do we keep the spirit of Advent alive in these crazy weeks leading up to Christmas? I will be honest and say that it isn’t the easiest thing to do. There is so much demand on a family’s time and resources during these weeks that if you are like me you are just praying you’ll survive with our heart intact until the New Year. Honoring Advent can provide a lasting faith legacy for our children, one that leaves them yearning to know God more. Study what Advent represents. Pray and ask God to show you His plan and purpose for the season. Then, whether you attend Advent services at your church or put aside some of your regular Bible study material to make room for a study of Advent, do something that will teach everyone in your family just why Advent is such a special time. Use an Advent Calendar creatively. Inside the boxes, pockets, or behind the little doors of your favorite advent calendar place scripture verses, devotional pages to read, prayers, or anything that will help your family remember that Jesus is coming and we should place our hope in Him. No Advent calendar handy? Create a paper chain and write these things on each link. Serve and bless others! God can and does do amazing things, out right miracles, in this world every single day. How does He do it? He uses you and me. When we are obedient to His call to serve He works right through us. While serving and blessing others (at a food pantry, by sharing baked goods with home-bound or nursing home residents, delivering meals to the homeless, raking leaves for the elderly, taking care of children for a weary mom… the ideas are endless) should be a year long effort. However doing so during the season of Advent can remind us just how much we need God and how exciting it can be when we are obedient to His direction. I have a confession though. I am so busy during the month of December that I cringe at the thought of making time for yet one more obligation. Do you feel that way too? This means one thing, you and I need a serious attitude adjustment. I’m busy doing the wrong things. If as a Christian I can’t find it in me to love as God has commanded during this most holy season then something is just not right in my heart. Break out your nativity set! Whether it be one you typically use for decorations or a cute toy one, reenact the travels of Joseph and Mary, the birth in the stable, the visit by the wise men. Instead of charging through the entire story spend a few days at each scene and anticipate what is to come. Discuss what the birth of Jesus meant and how He is returning. Have patience with yourself and your family. I know I always put a lot of expectations on myself during the Advent season. I plan to be a baking queen blessing everyone from the garbage men to even the president. (Okay not so much the president. I’m not sure his security detail would appreciate me.) I declare that we will read a book of the gospels each week and compare. I tell myself we will work in 20 different service opportunities and bless every person who crosses our path. When I only manage to pull off a fraction of these ideas I become very disappointed. Use Advent as a time to reflect exactly what God is calling your family to do. Thank you to Crystal from Crystal Starr for writing this guest post.